Recently sentenced to nine and half years for GPU-related stabbing. Everyone seemingly wants to vehemently defend the brand they've bought into, even though it's usually a very silly argument. Just pick who you start debating with very carefully. According to Stolica-s.su (with translation from Fraghero), last year a 37-year-old Russian man, Aleksander Trofimov, murdered his friend Evgeny Lylin during an argument over the two major graphics card makers, AMD and Nvidia. The pair reportedly used to work together in software development, and met up for drinks. While drunk, the two started disagreeing over whether AMD or Nvidia GPUs have better coolers, and things took a turn for the worse soon after. Trofimov stabbed Lylin to death, and he was arrested three days later. It's a horrific story, and sadly one that could have been avoided with a bit of research. 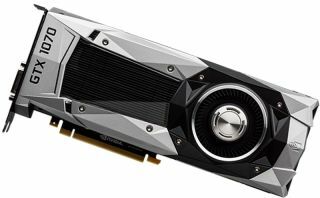 Our list of best graphics cards clearly states that Nvidia is on top right now. Although with AMD's Vega just around the corner, the landscape could be set to shift again. And if you feel heated about either of those statements, for heaven's sake keep the arguments confined to comment threads. According to By24, Trofimov was recently sentenced after confessing to the crime, and will serve nine and a half years in prison for the murder. He is an Nvidia fan however, so might be out a little faster.